Need to train yourself or your staff on using Magento? Need to bring your developers or website managers up to date on best practices for Magento? Our team can help your company save money and get ahead with Magento training! If you want to make frequent changes to your Magento site it’s import to understand how Magento works. Many store owners are afraid of changing simple settings that are there to help them manage their stores just because they don’t understand Magento’s features. At Customer Paradigm we can teach you and your staff to use the Magento Admin Panel to its fullest! We’ll teach you about how to customize your product pages, categories and CMS pages. We can set up easy to change ways for you to swap out slider and homepage images. Or we can even teach you how to optimize your site to get the best search engines rankings and speed. 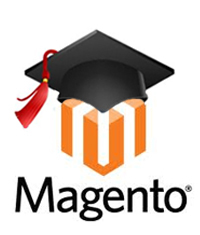 Magento training can be tailored to your needs and done on site or via a screen sharing session. We’ll even record the training session and send your team detailed notes they can refer back to in the future. Every Magento store is different, but many store managers run into these common questions. Our expert Magento team can take a look at your store and it’s needs to help make sure your store runs smoothly. When should I reindex or refresh the Magento cache? How do I set up promotional codes? How do I set up special pricing for different customers? How can I sync my Magento newsletter subscribers with my email marketing service?